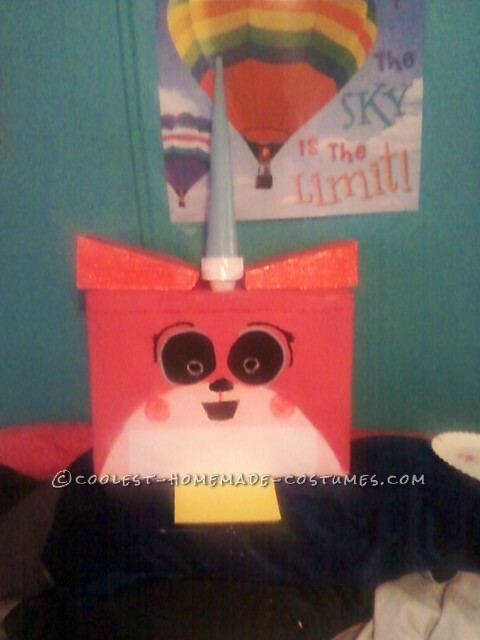 This costume was inspired from the Lego movie. 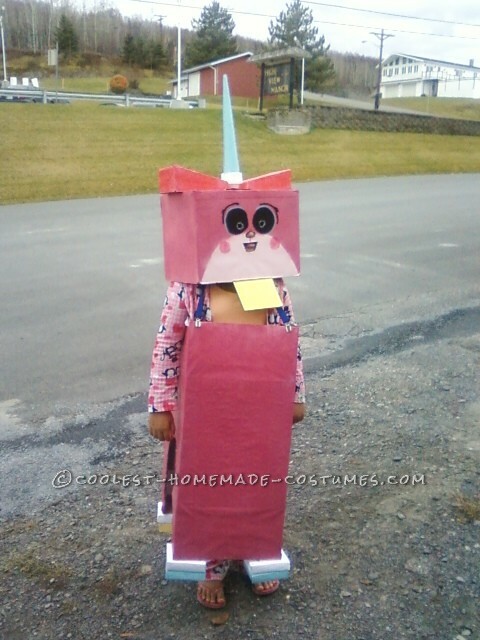 She absolutely loved the Lego movie and her favorite character from it was Unikitty. She decided that that was what she wanted to be for Halloween. It was very different and she was the only one around who had the idea. 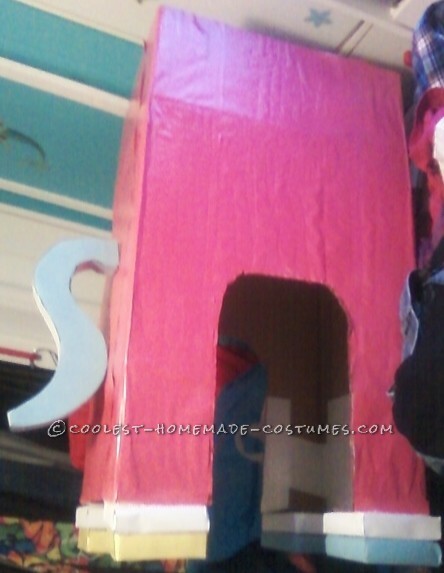 We put a lot of time and effort into this costume. It is made of simple things, however, some of the shapes were a little more challenging to create. The tail, overall, was the most difficult. it is created completely out of cardboard pieces and poster-board. While she was out trick or treating with this costume the people of the town were extremely excited from the creativity and uniqueness of the costume. Many people handing out candy called the rest of the people, that were in the house, over to look at her costume. She was extremely proud because of all the hard work that went into the making of it. 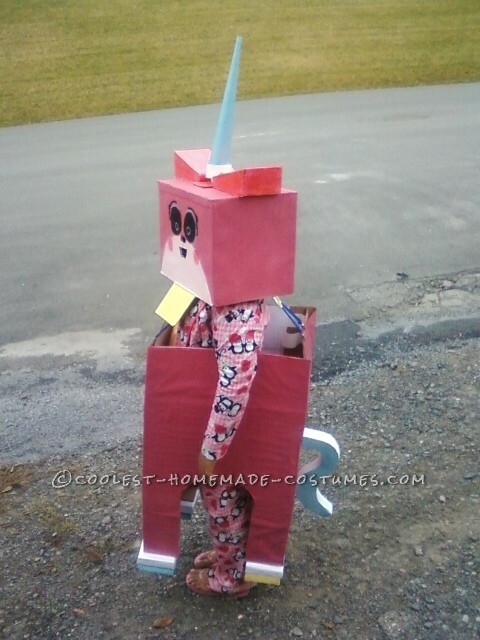 She is a quirky kid and this costume fit her so well. We couldn’t go anywhere without receiving a compliment.